GadgetNate | LilyPond = LaTex for Music!! LilyPond = LaTex for Music!! LaTeX is used to format math and science papers. It is a markup language (similar to what HTML is for the web). 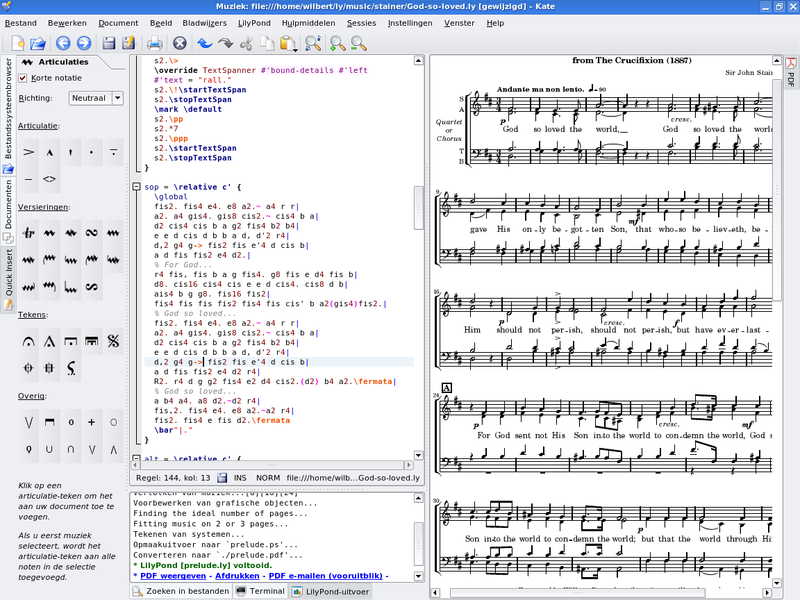 LilyPond (LilyPond.org) is a markup language for writing musical scores. Fescobaldi (www.frescobaldi.org/)is a Python program that makes it easy to write the LilyPond code and see the resulting script. I hav? learn ?evera? just rijght ?tuff here. to make this type of g?eat informative website.